Jyothika, who ruled Tamil commercial cinema in the early 2000s as a leading lady, has made a sensational comeback with 36 Vayidhinile. Jyothika popularly known as Jo had married Tamil superstar Suriya and was keeping away from the arc lights for the last eight years. Jyothika’s comeback film, 36 Vayadhinile, is the story of a 36-year-old house-wife and a government employee with an insenstive husband. How she regains her self-esteem after she decides to chase her own dreams forms the rest of the story. It has traces of Sridevi’s comeback vehicle English Vinglish, directed by Gowri Shinde as the story is about woman empowerment. Jyothika in the poster of 36 Vayadhinile. IBN Live. The film directed by Rosshan Andrews, is a remake of his own Malayalam hit How Old Are You, which was the comeback vehicle of top Malayalam actress Manju Warrier. Manju wife of leading Malayalam actor Dileep had fallen out with her husband who did not want her to act in films (now they are legally separated). Strangely the Tamil version 36 Vayadhinile, is produced by Jythokia’s husband Suriya under his home banner 2D Entertainment! The grapevine is abuzz that Bollywood star Ajay Devgan has purchased the Hindi remake rights for his wife Kajol to make a comeback. 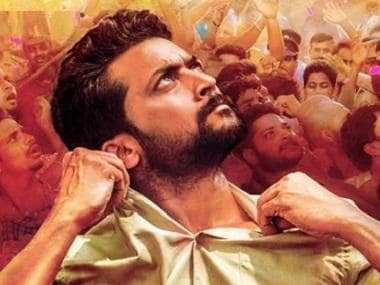 36 Vayadhinile is a woman centric film that has turned out to be a super hit at the Tamil Nadu box office, which is usually ruled by larger than larger than life heroes including Suriya. The film made on a shoe-string budget of Rs 5 Crore has netted approximately Rs 15 Crore in two weeks. A survey indicated that 85% of the audiences were ladies, who simply fell in love with the character played by Jo in the film Vasanthi. 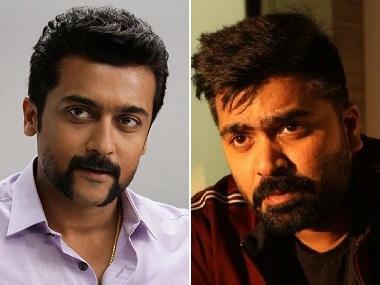 Suriya at the success meet of the film remarked,“People are telling me that after a long time, they could smell ‘Mallipoo’( jasmine) in cinema halls and it’s because of the women audiences who are flocking to the theatres for 36 Vayadhinile." Both the original and the remake were comeback films for heroines who quit films at the peak. In Tamil, 36 Vayadhinile worked wonders at the box-office, as it struck a chord with today’s fiercely independent lady audiences. The original writer Sanjay and the dialogue writer in Tamil Viji explored with the theme of the film – Who puts the expiry date on a woman's dream ? This is one of the pertinent questions that 36 Vayadhinile asks. Another reason why the film worked with lady audiences was the way Vasanthi’s (Jyothika’s charcter name) husband Tamilselvan (Rahman) was shown in the film. He’s totally insensitive and treats his wife more like a piece of furniture in the room. The husband character also does not involve her in any crucial family decisions he makes and taunts her by making it a point to discuss thinks more with his 13 year old daughter. In an interview Roshan Andrews, the director who did both the versions said: “The subject of this movie is universal. When we made the film in Malayalam, we couldn't release it on a bigger scale, even though it deserved a wider release. Jyotika's presence has made the movie bigger than the original.” The film was marketed well by Suriya with a special emphasis on Jyotika playing her age, which brought women across all ages and socio-economic classes to the theatres. 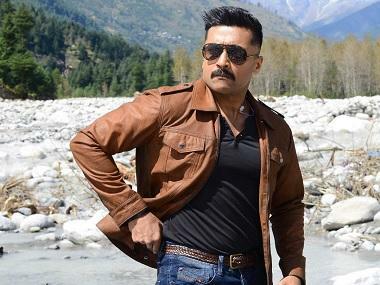 In an exclusive interview to Firstpost, a beaming Jyothika said:“ I did this film with a fire inside me believing that women should be respected for being home makers at the same time there should be a drive to chase their own dreams.” It was Suriya who first saw How Old Are You and suggested that it is the right film for a comeback.